I need a video that explains how to test a Hotel Room for electricity problems. I believe with a multimeter a person could check out the room before renting it for possible problems and avoid what just happened to me. The battery in my computer appears to be bad; the battery in my mobile cell phone appears to be bad. Neither one of them is functioning, the probabilities of both stopping at the same time leads me to believe this is not coincidence. There is a problem with the electricity in the Apartment Hotel. “Teach yourself how to use a multi-meter. 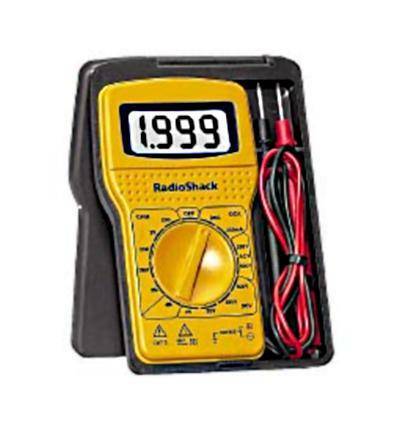 I found many pages and one good video explaining how to use a multimeter. It would be great if some hotshot would make a video explaining how to use a multimeter to check out a Hotel Room so that I know the room is safe for my computer, mobile phone and camera. I want to make sure my battery charger does not have problems, I want to know when I turn on the air conditioning the current is stable. What happens when I plug in an electric hotplate? I enjoy the older, historical Hotels with a lot of character; however, these Hotels were designed when the electricity demands of residents were less. I enjoy places like Togo, West Africa, Thailand or Guatemala, and guess what; the electricity in these countries is not quite developed as the highly developed world. However, I am positive a nice Bed and Breakfast in some historical part of the USA could be dangerous to your laptop computer, mobile phone and camera. I need a video, yesterday would have been better, but tomorrow is ok.
How to use multimeter - laptop support - laptop repair & notebook repair.